Flying with pets often causes anxiety for us pet parents. 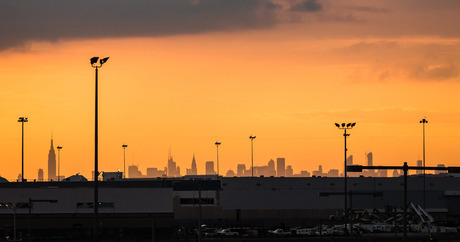 Hopefully, that will change for animals flying out of and into the Ark, the first animal-only terminal at JFK Airport in New York. The Ark boasts a dog and cat resort and a veterinarian hospital that will be open 24/7. Ark Development signed a 30-year lease with the Port Authority of New York and New Jersey to use the facility. Approved by the United States Department of Agriculture (USDA), The Ark will have an airport quarantine facility for the import-export of pets, horses, livestock, and birds. The resort will be run by a company called Paradise 4 Paws, and East End Veterinary Emergency and Specialty Center will oversee veterinary care of all animals at the terminal. Dog grooming and training will also be offered and run by a company called The Spot Experience. The Ark will be fully operational in 2016, and will create 180 new jobs at the terminal. The cost for the 178,000-square-foot facility will be $48 million. The New York and New Jersey Port Authority expects The Ark will generate $108 million in revenues over its lease. The project is being developed by Racebrook Capital and designed by Gensler and GH2, which is a specialty equine architect.